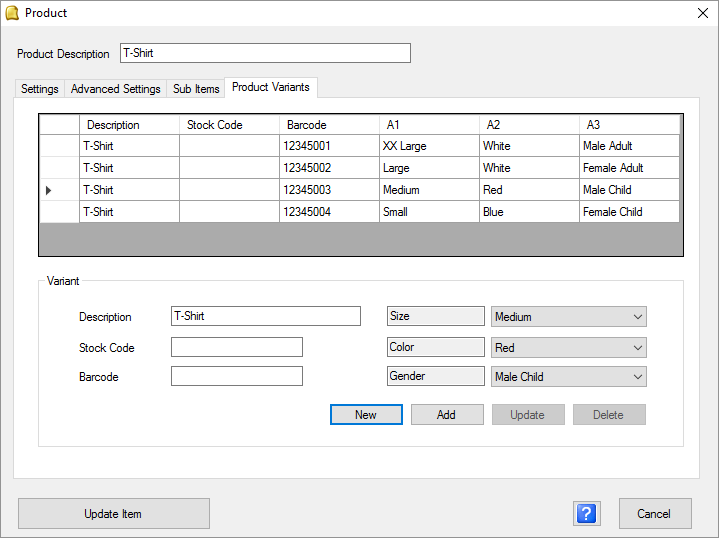 Product Variants are useful in the Retail Module. 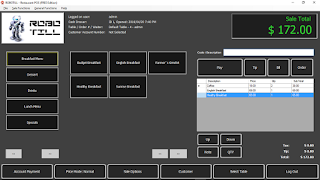 It allows you to quickly add a lot of products that are identical (price, category, tax option, etc.) except for some small attributes like size or color (or colour depending on where you are from). Each variant can have a different barcode, SKU/PLU. There are also new search options that allows you to search by attribute. 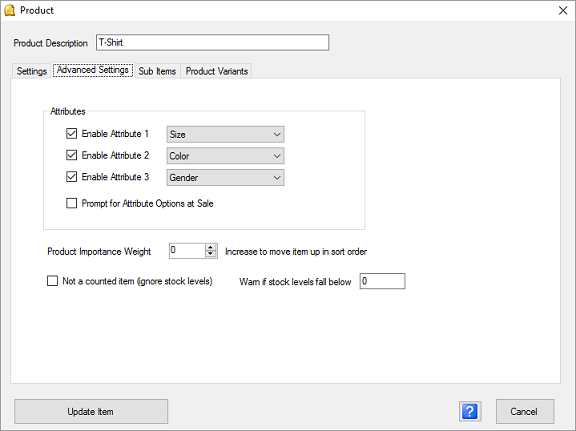 For example you could search for all products of a certain size or color. 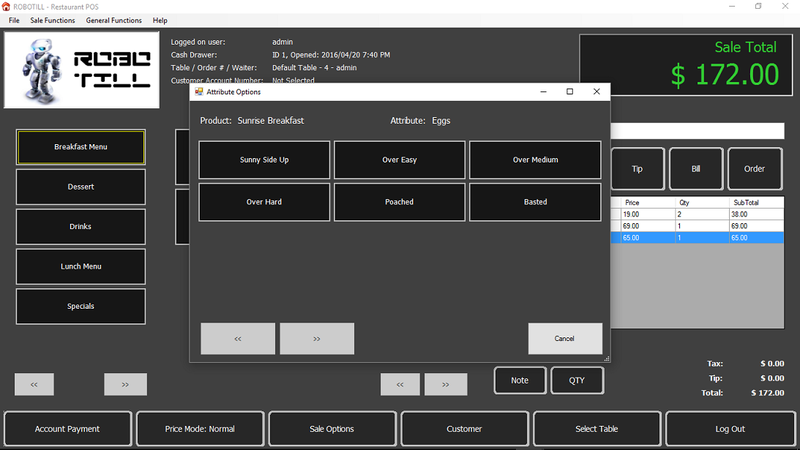 Order attributes are very useful in the Restaurant module. 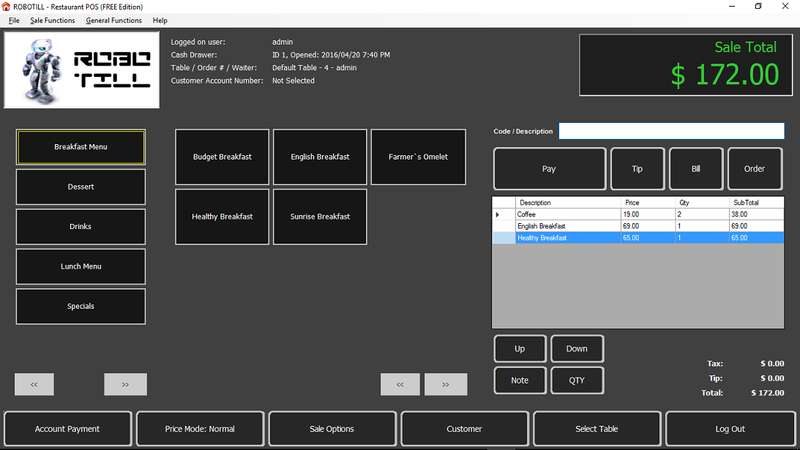 In previous versions of the Restaurant Module of ROBOTILL the waiters could add notes to items in the order. These notes however had to be typed by the waiter. These notes are still available for very specific instructions, but now with Order Attributes, the life of a waiter just became a lot easier. 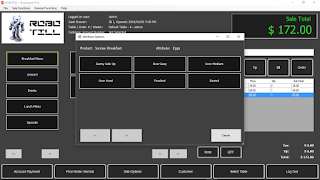 When specific items are added, the system will automatically prompt the waiter with options and the waiter can just click (touch) the customer's selection. For example if a steak is added, the waiter will be prompted to ask 'How would you like your steak done' and then options of 'Well Done, Medium, Medium - Rare' will appear. Multiple prompts (attributes) per item can be added. The selected options will be printed on the Order Slip that goes to the kitchen. ROBOTILL has three price tiers that can be used for a specific item, for a specific sale or for a specific period (Happy Hour!). 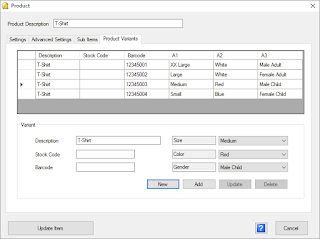 With version 5 it is now possible to allocate a specific price tier to specific customers. When the customer's card is scanned/swiped the system will automatically change the price tier to the customer's price tier. A great way to reward loyal customers. It is also now possible to choose how customers are selected. It can be with the customer selection (search) screen or by using the new 'Scan/Swipe Customer Card' functionality. If you don't have a card reader you can print customer cards with barcodes for the Customer ID's. You can then simply scan the customer card using your standard barcode scanner. 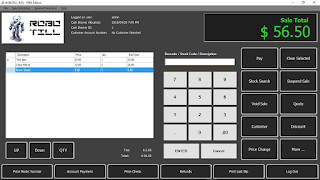 In previous versions customer statements could only be printed from ROBOTILL Manager (the back office program). 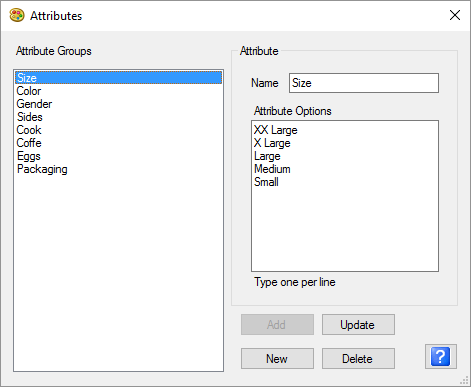 Now it is also possible to preview and print statements at the POS Points. Useful when a customer wants his statement at a pub late at night when the manager is not around. Download your FREE Edition now! Download the free edition of ROBOTILL now. The free edition is not a trial as it does not expire.